Peter Goffstein focuses on development and the re-positioning of the retail, office, hospitality and residential components of the IRG portfolio, while also pursuing new business opportunities to expand the portfolio. 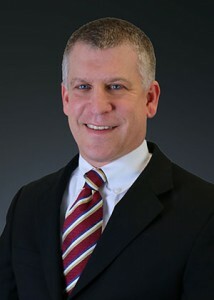 Mr. Goffstein manages IRG’s Cincinnati, Ohio office. Prior to joining IRG, Mr. Goffstein led the acquisition and development efforts for several investment platforms throughout the country, including a publicly traded REIT, institutional investors (pension funds, foreign banks and insurance companies) and syndicated private capital. Mr. Goffstein’s experience includes joint venture structuring, public and private finance, municipal entitlements and the management of complex legal issues. He has been primarily involved in the acquisition, development, leasing and construction of over 10 million square feet of projects. Mr. Goffstein was previously an office leasing broker in Atlanta for a national brokerage company representing clients throughout the southeast U.S.
Mr. Goffstein grew up in St. Louis, Missouri and graduated from Vanderbilt University in Nashville, Tennessee with a Bachelor of Arts in the Development of Economic Systems. Mr. Goffstein currently resides in Cincinnati, Ohio.